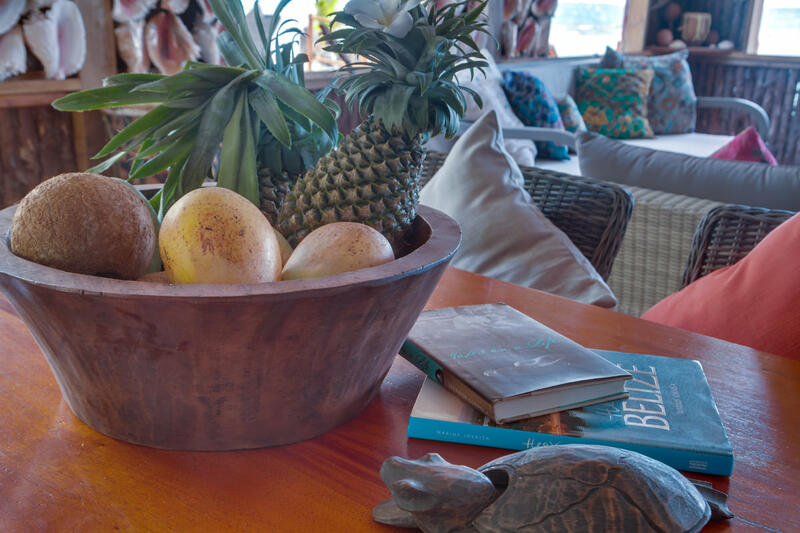 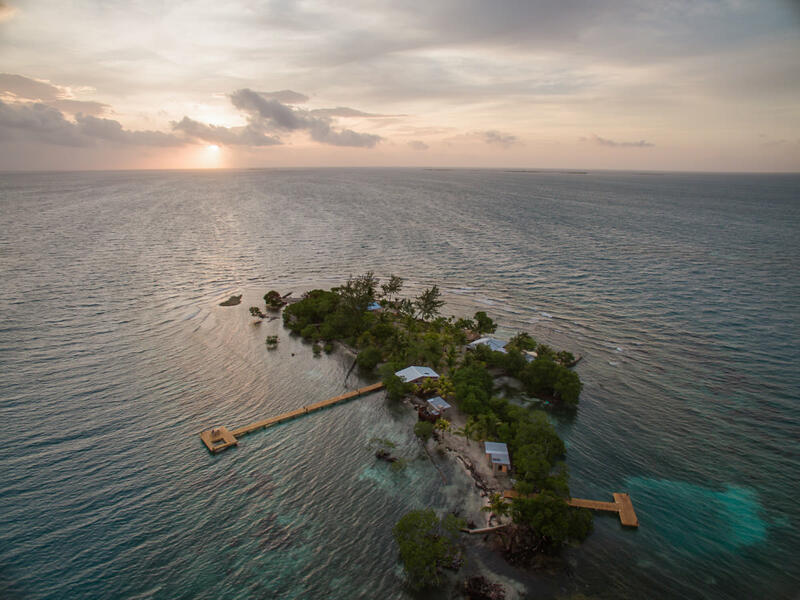 Imagine slowing down time and inhabiting an intimate island where your only neighbors will be your traveling companions, exotic birds, and attentive caretakers to prepare your meal, pour your wine or chop a fresh coconut. 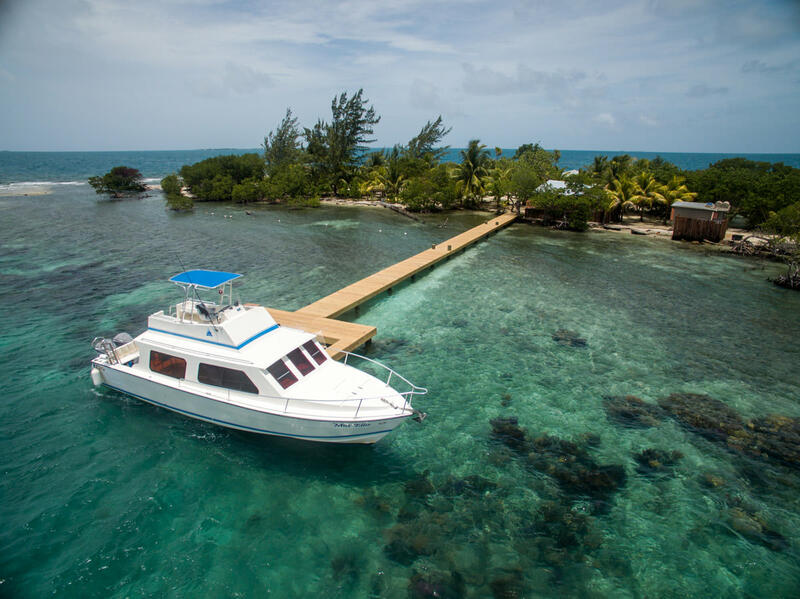 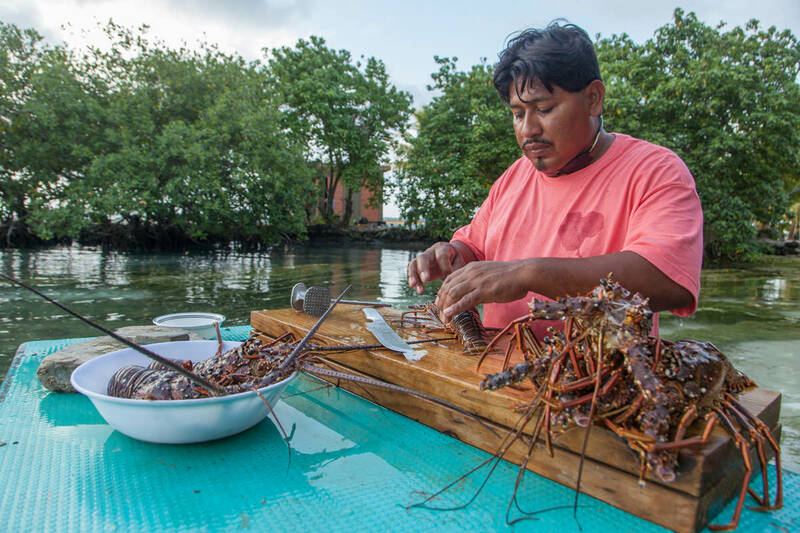 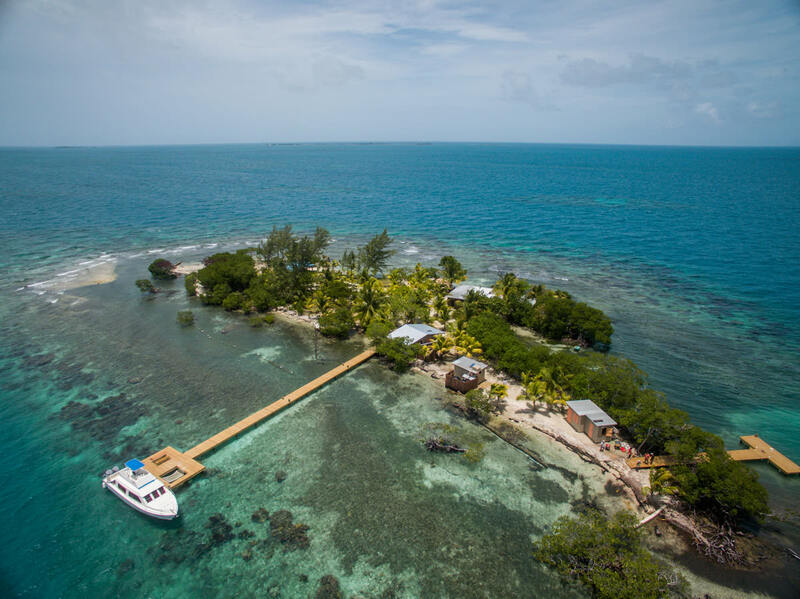 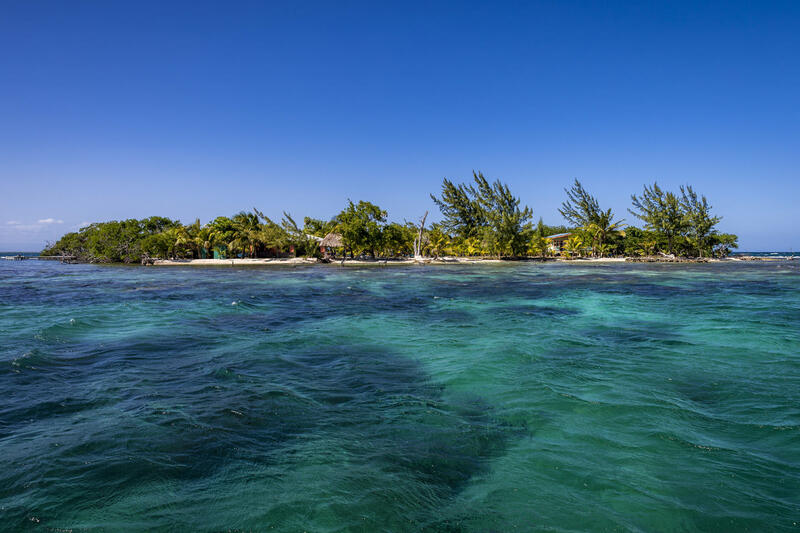 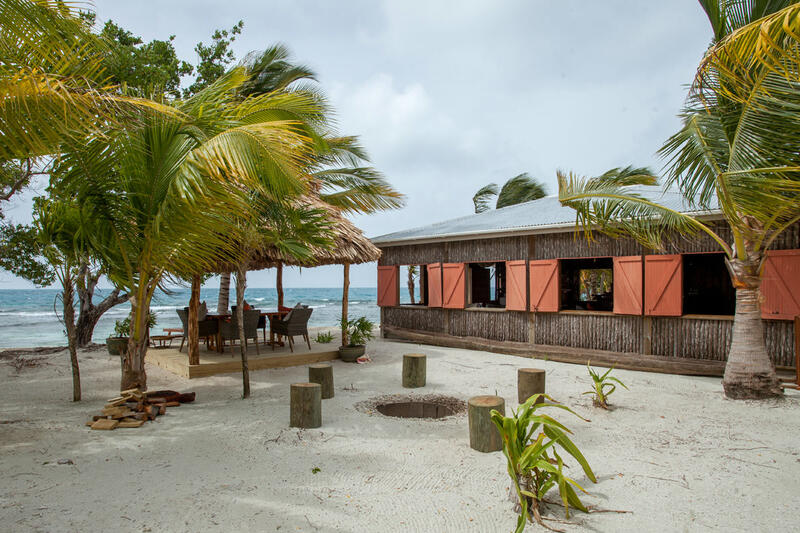 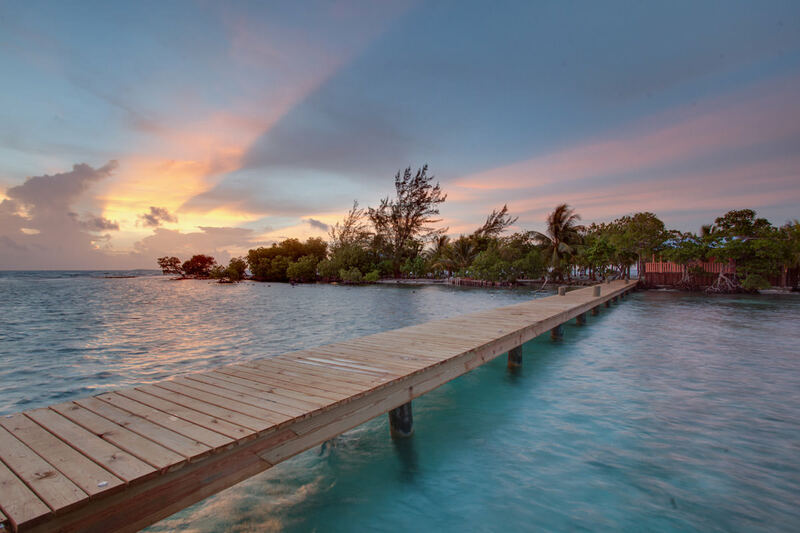 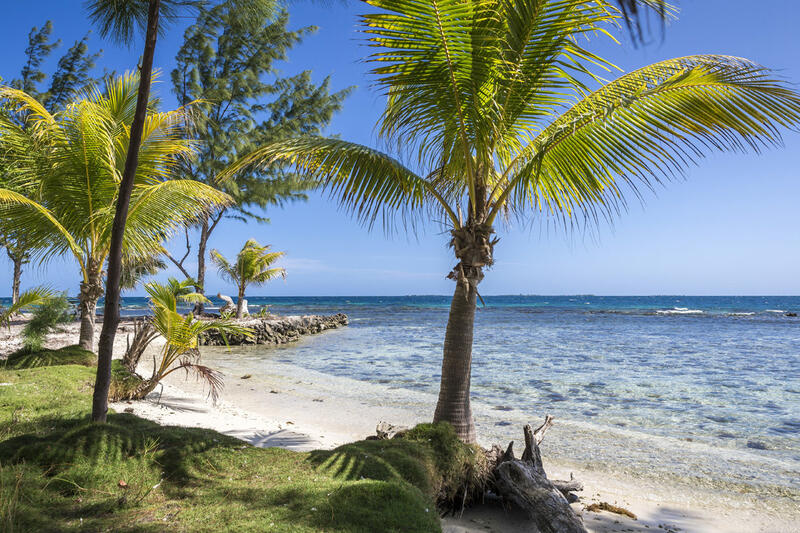 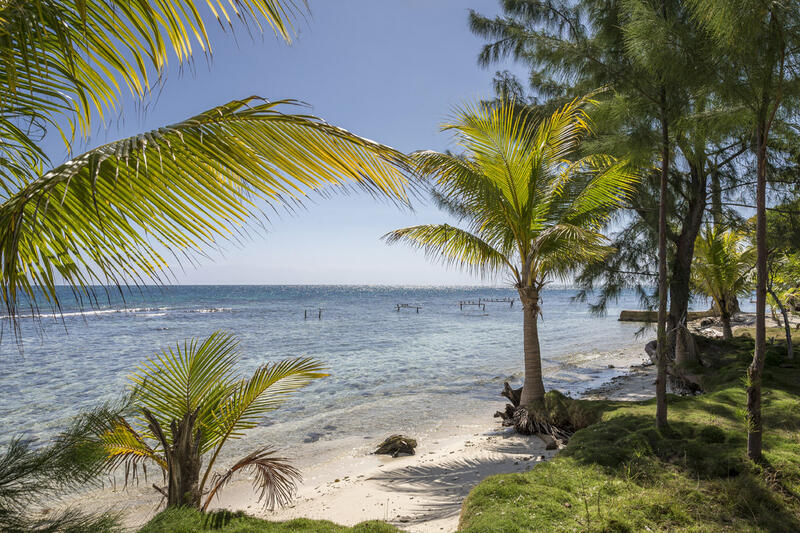 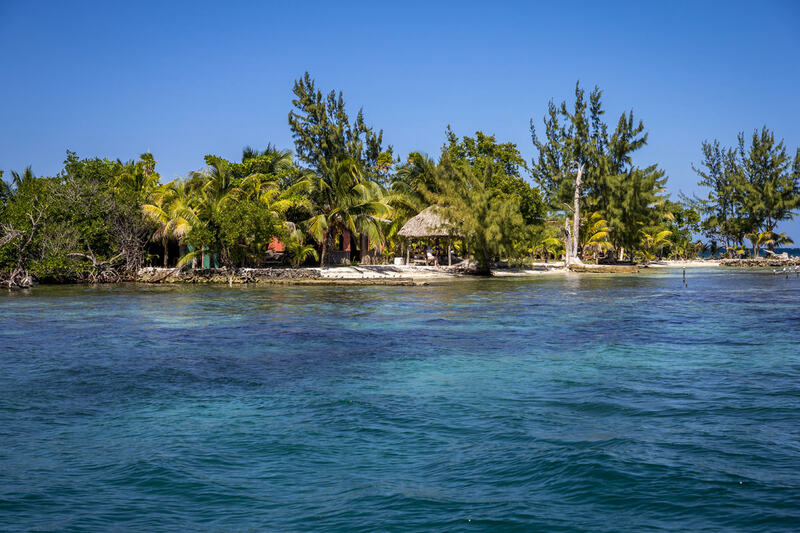 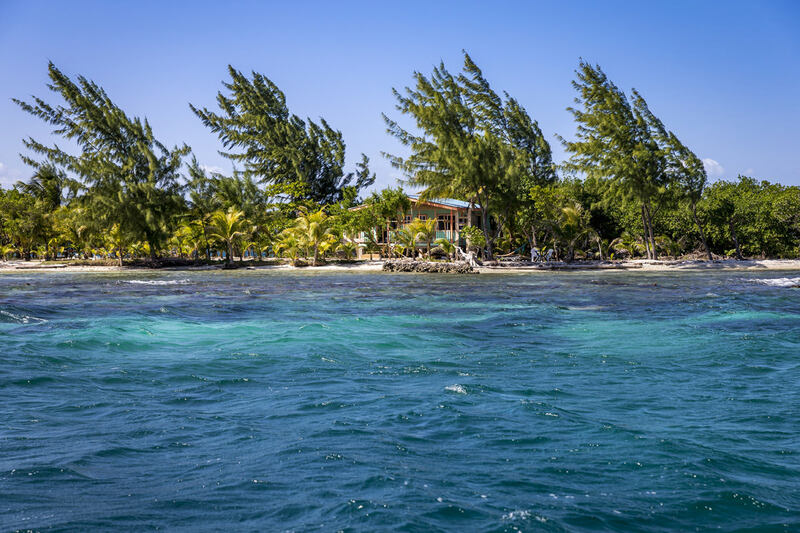 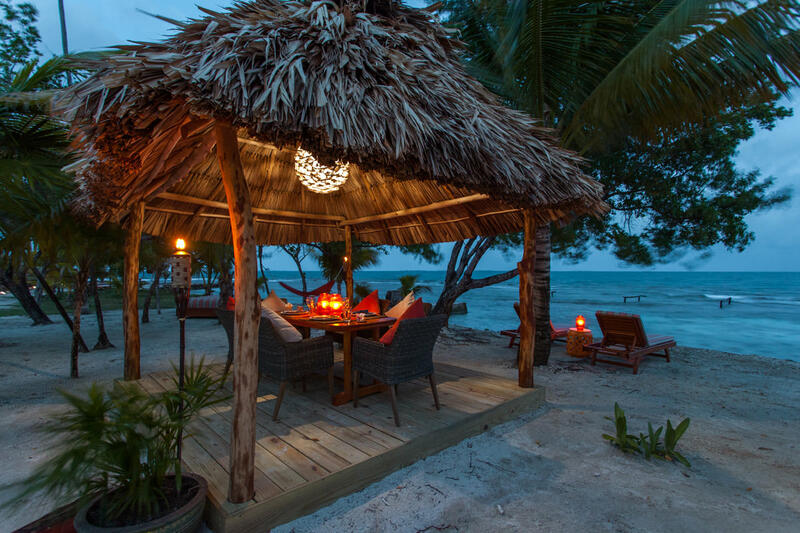 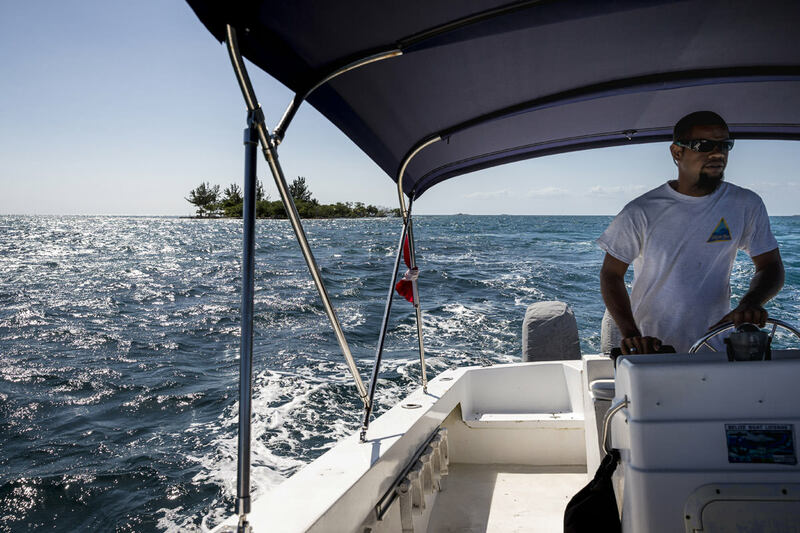 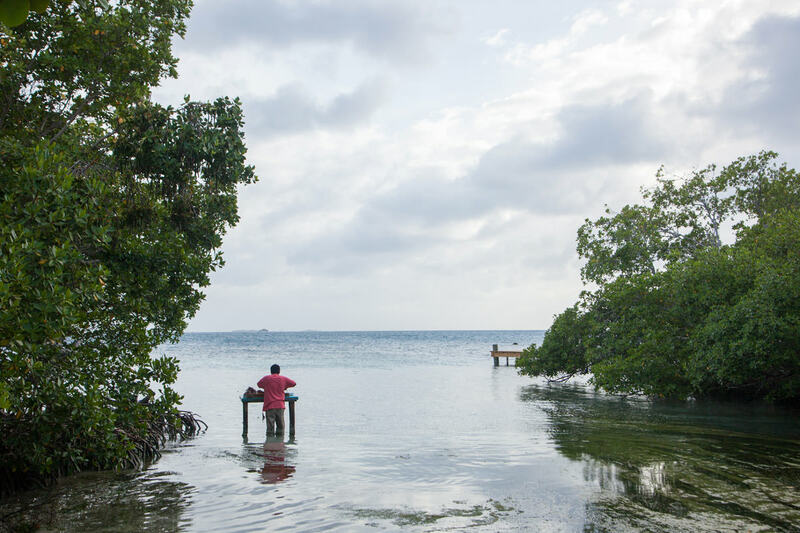 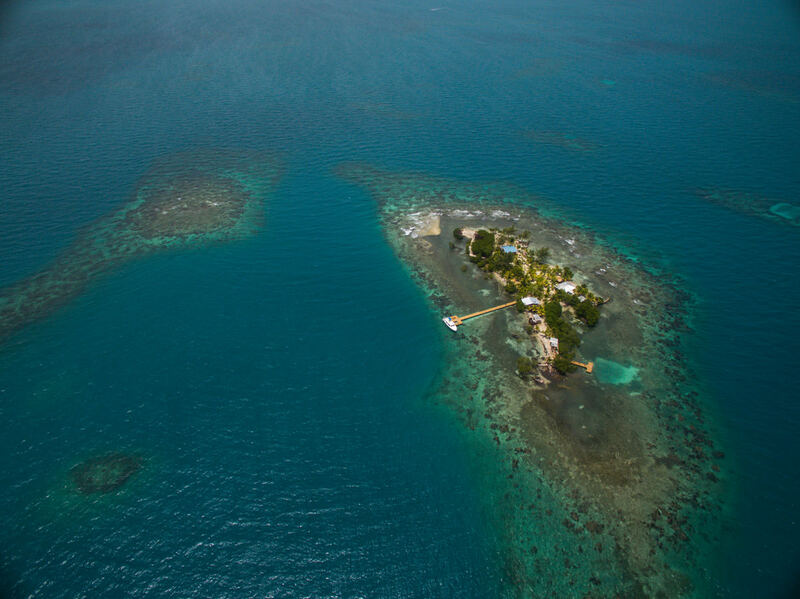 Your trip to Belize and Turtle Inn will be an even more exquisite memory when you add on a few nights on our two acre, isolated, private island, just a 25 minute (8 mile) boat ride from the resort. 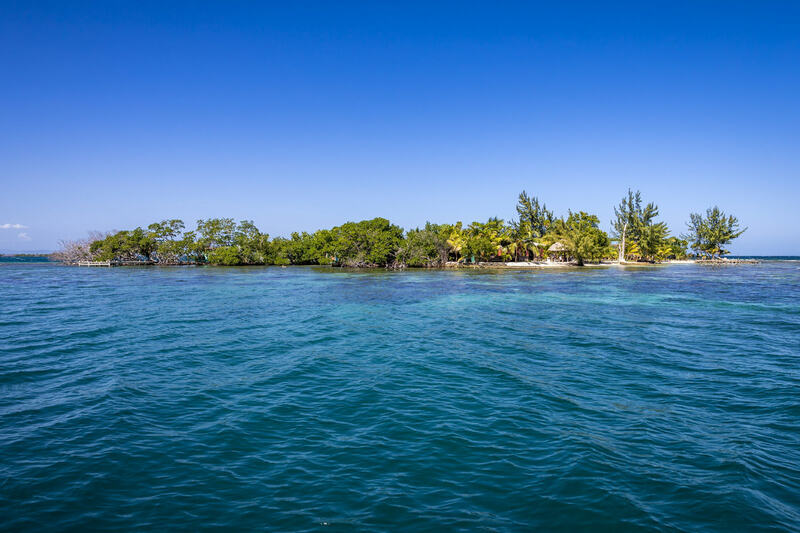 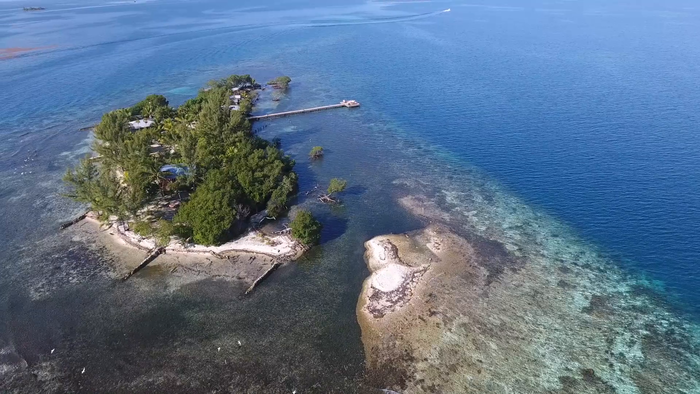 The island features a small coral sand beach and fascinating mangrove ecology. 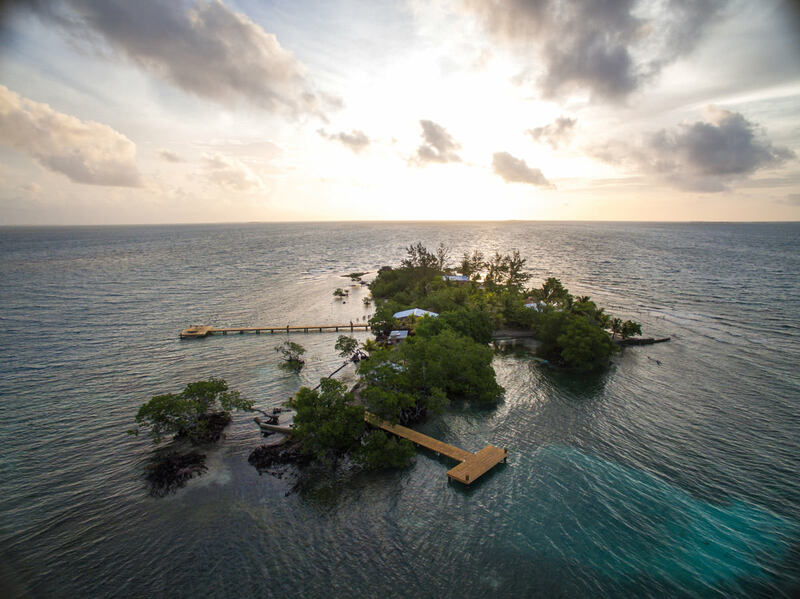 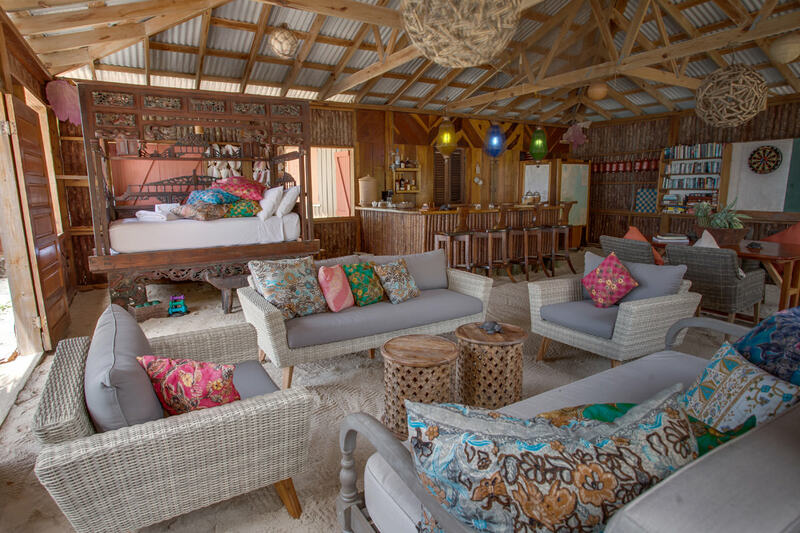 Once used as a commercial fishing camp, it has now been enhanced for travelers who want a once in a lifetime experience, while still preserving the natural, local flavor. 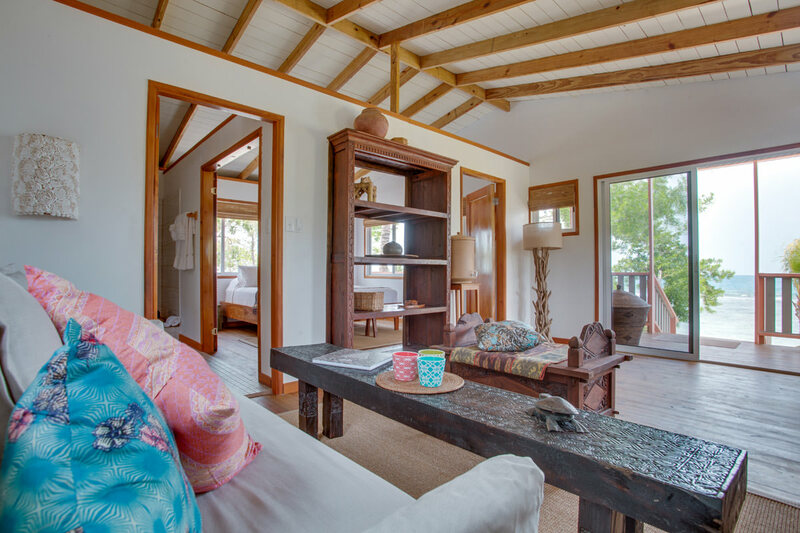 Your dwelling will be a comfortable, rustic cottage that suits the untouched nature of your surroundings. 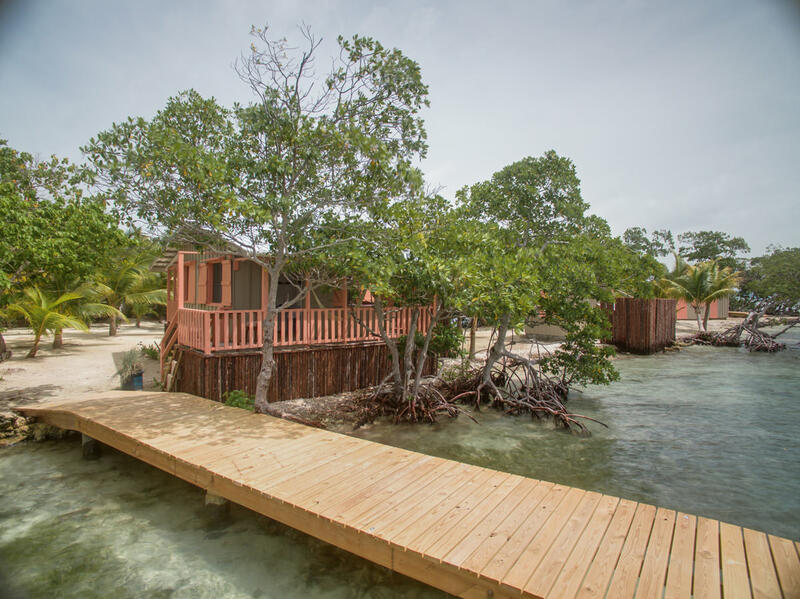 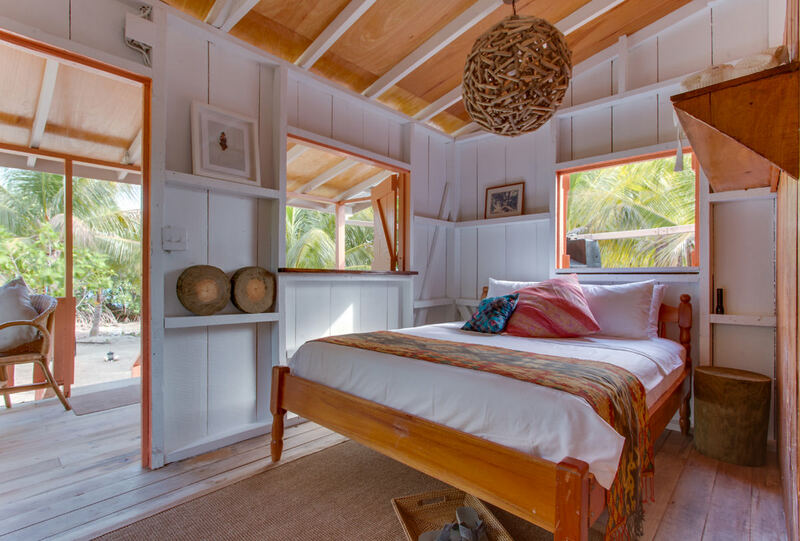 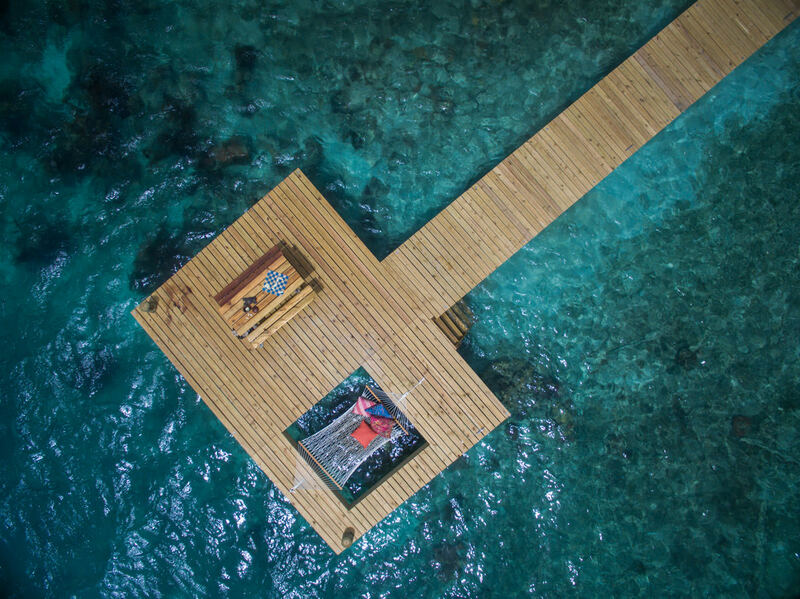 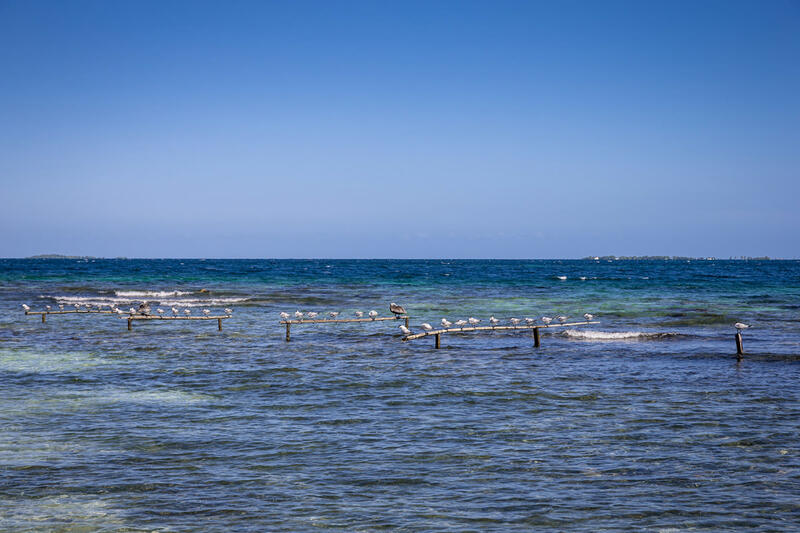 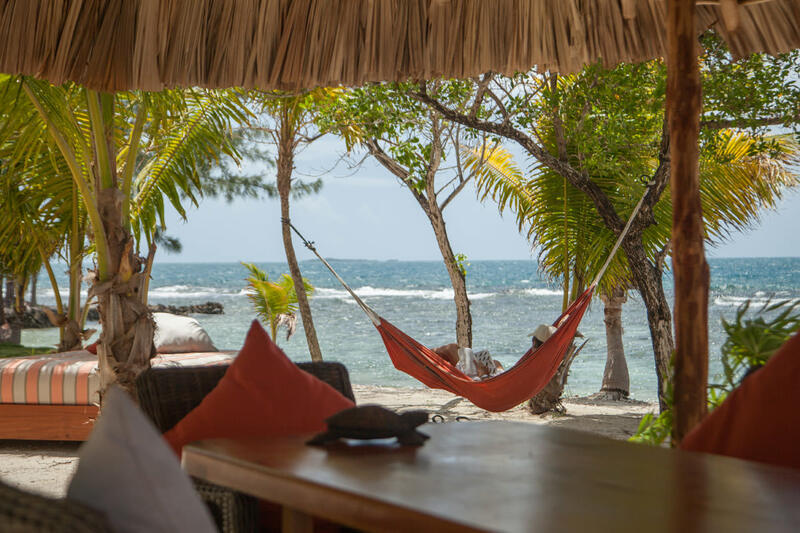 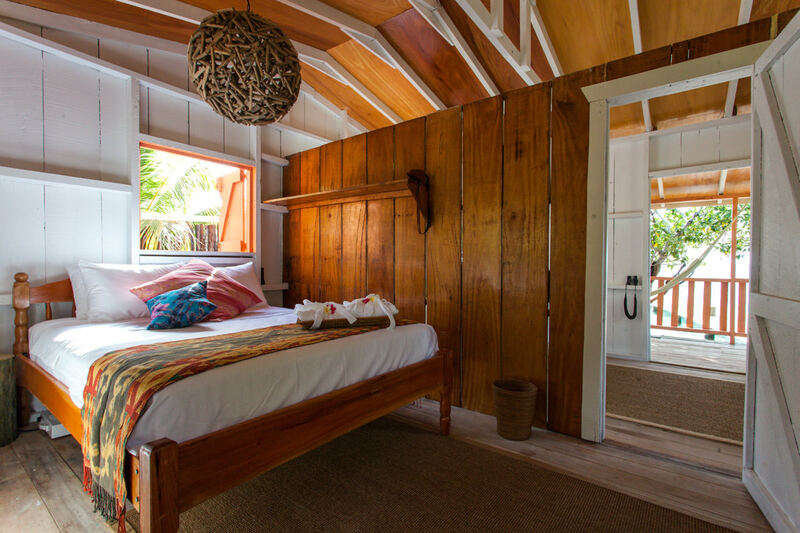 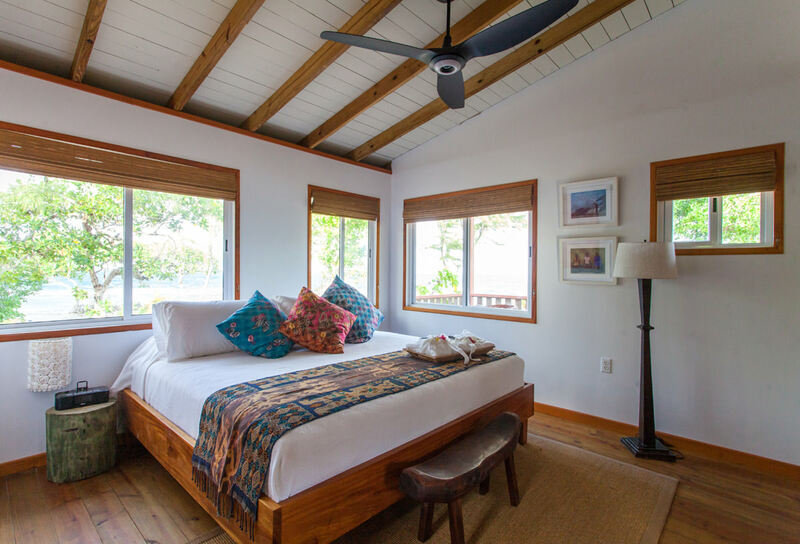 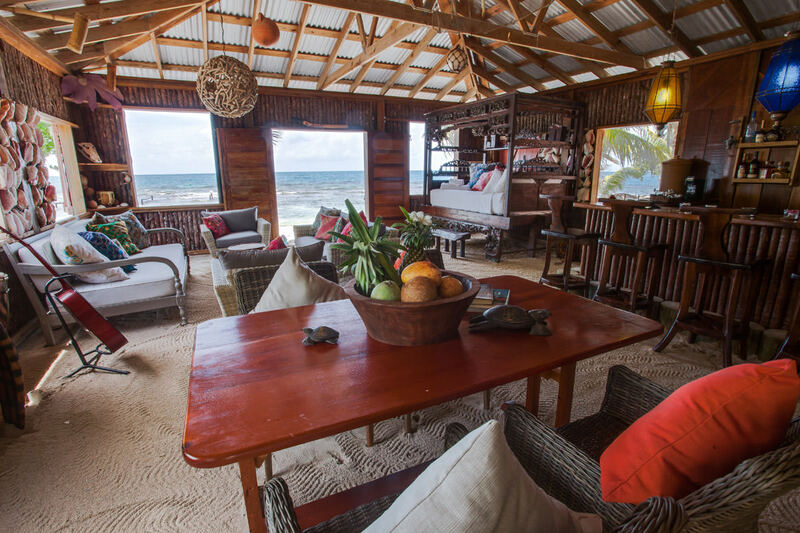 A true sanctuary that is eco-conscious in every way and allows the soothing sounds of the Caribbean sea to lull you to sleep or beckon you to spend your afternoon snorkeling directly from the island. 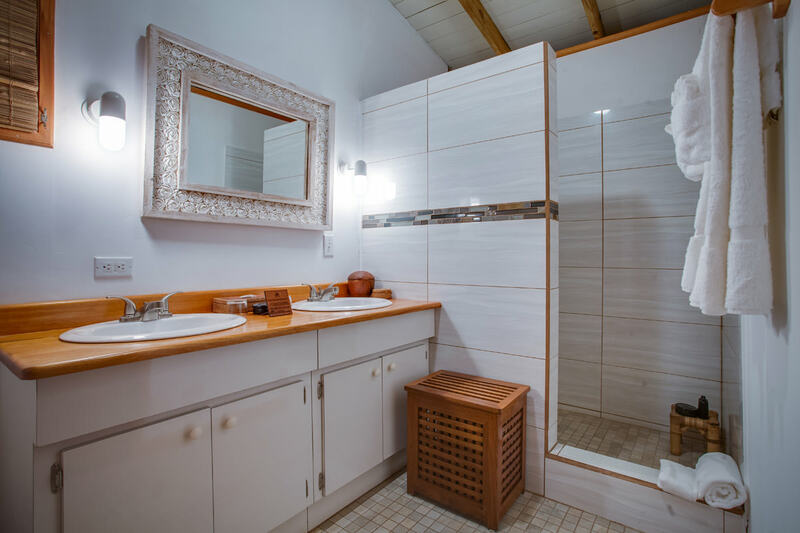 Do as much or as little as you please in complete privacy and solitude among your loved ones. 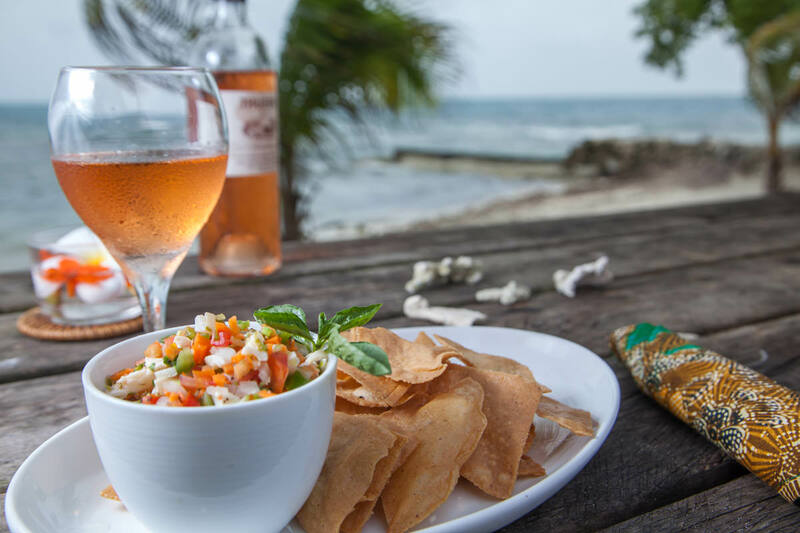 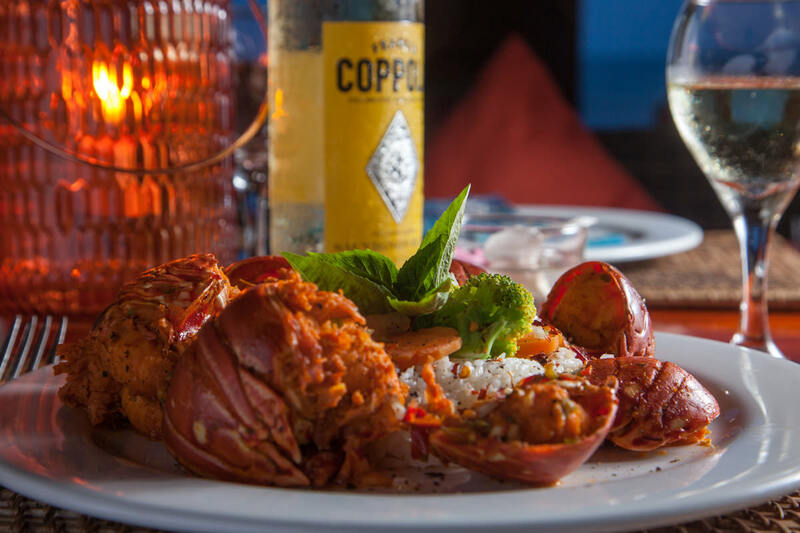 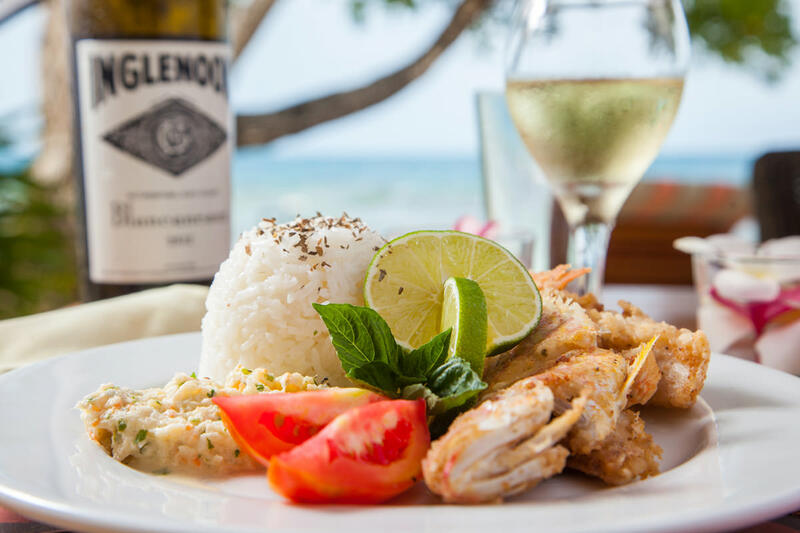 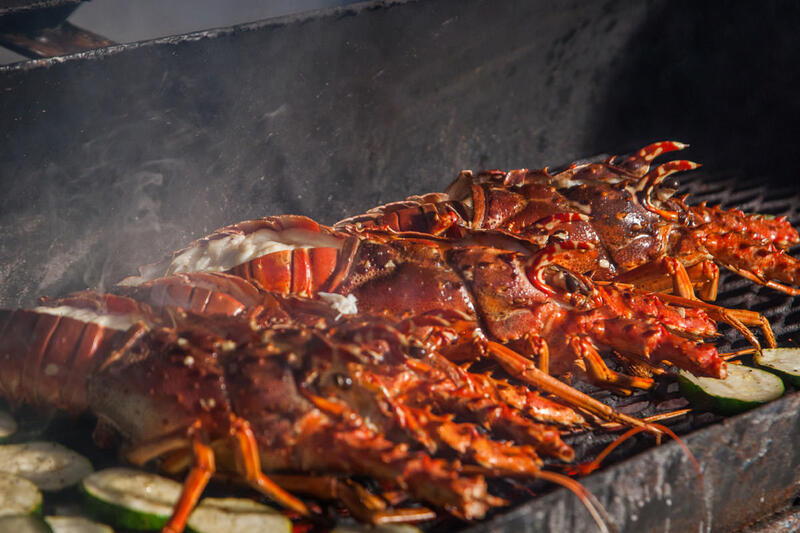 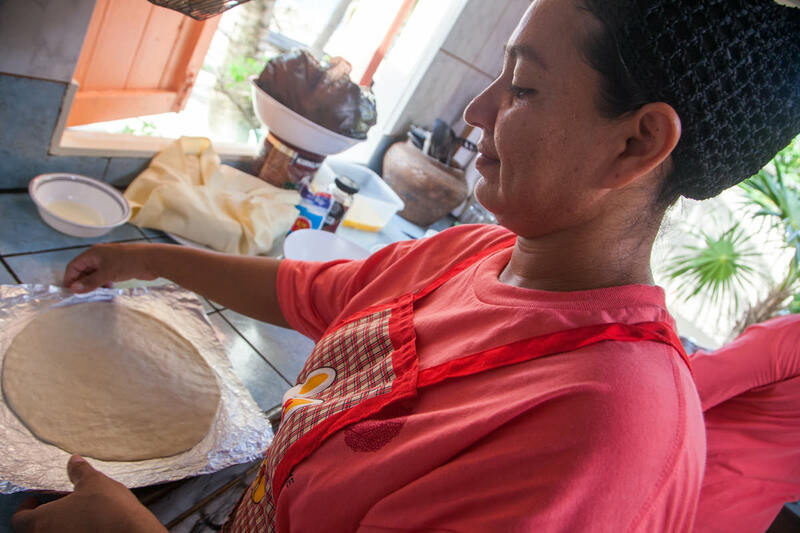 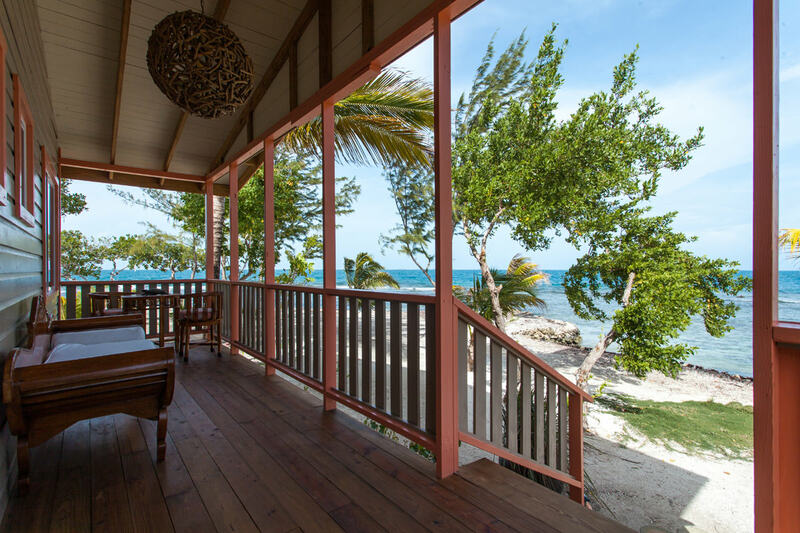 Your meals will be prepared daily by the island caretakers whether that be a morning coffee, fresh fruit or egg breakfast, a refreshing light salad or sandwich lunch and a fresh caught seafood dinner – BBQ Creole style. 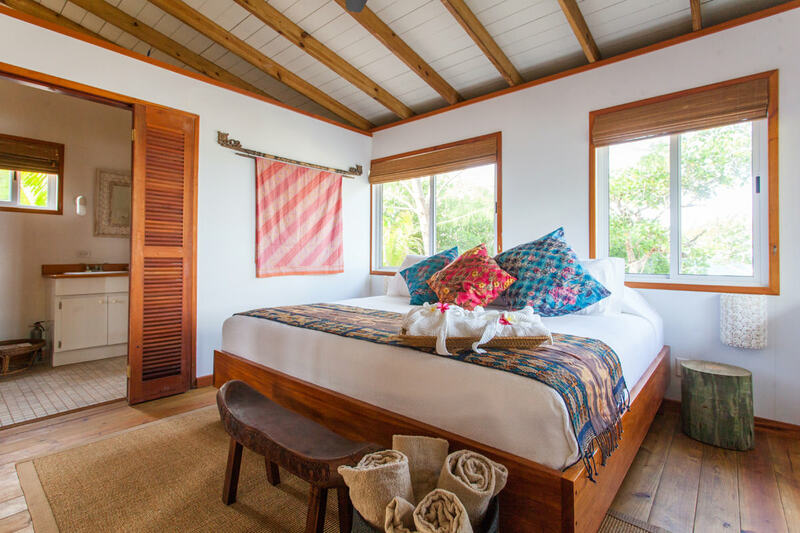 Robinson Crusoe would be challenged to find a more exquisite retreat and we’ve added all the extra touches so that you may truly unwind. 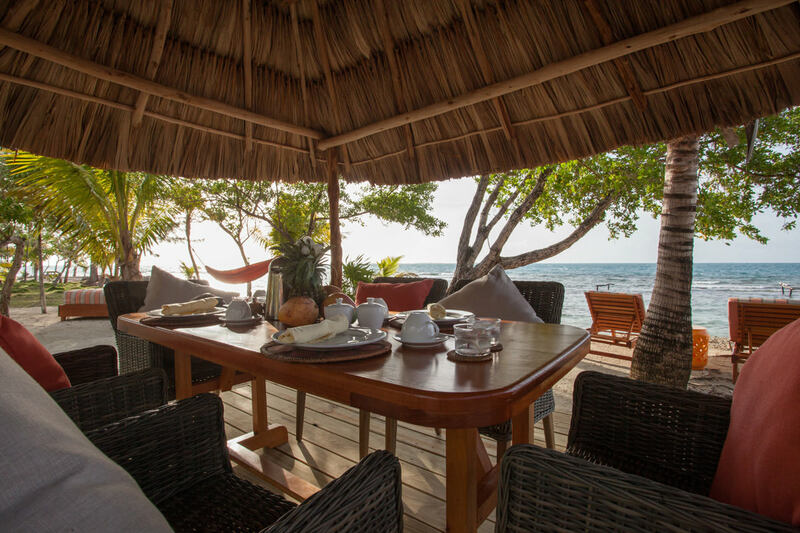 We can also customize your experience with add-on items (at extra charge) such as al-fresco massages, a private chef and private attendant for a more elaborate meal, a guided fishing tour, pre-ordered specific grocery items, a cake or special treat to celebrate an occasion. 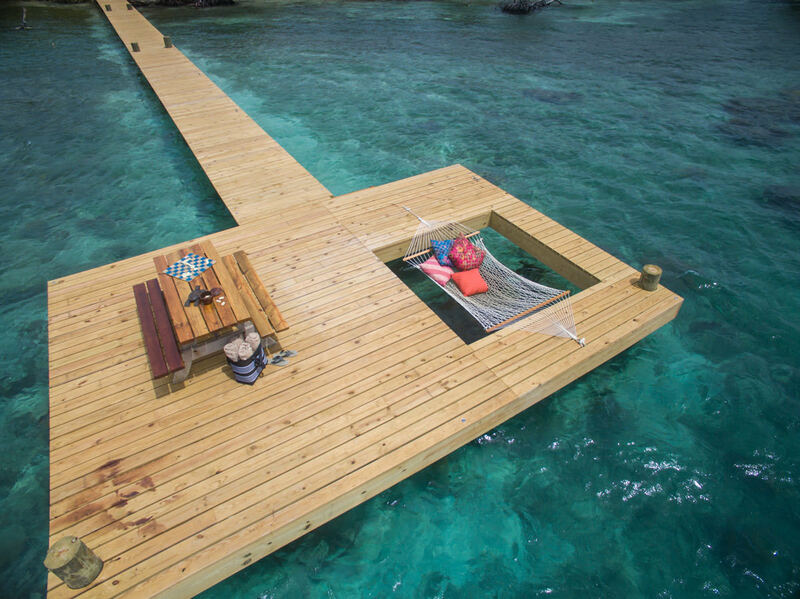 The options are only as limited as your imagination. 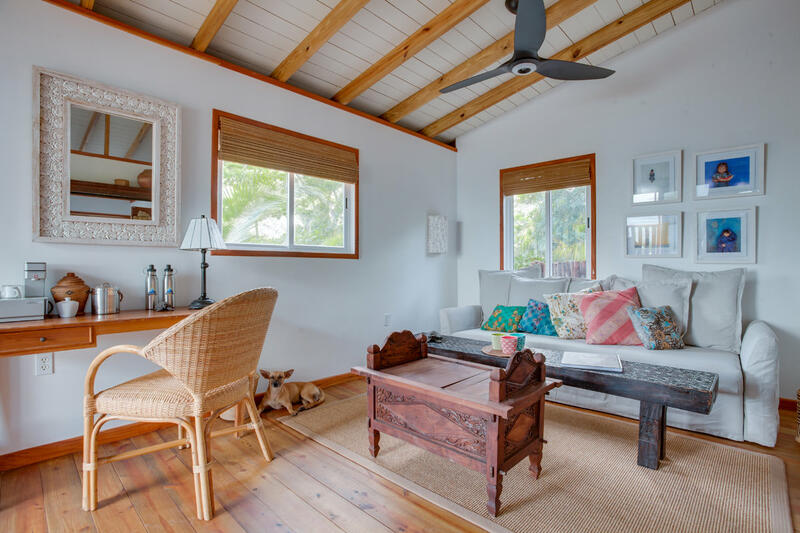 The coastal decor consists of airy fabrics, open space, seaside-inspired colors, beachy accents, sturdy woods to withstand sandy feet and salty air, and tones to reflect the sea and sky. 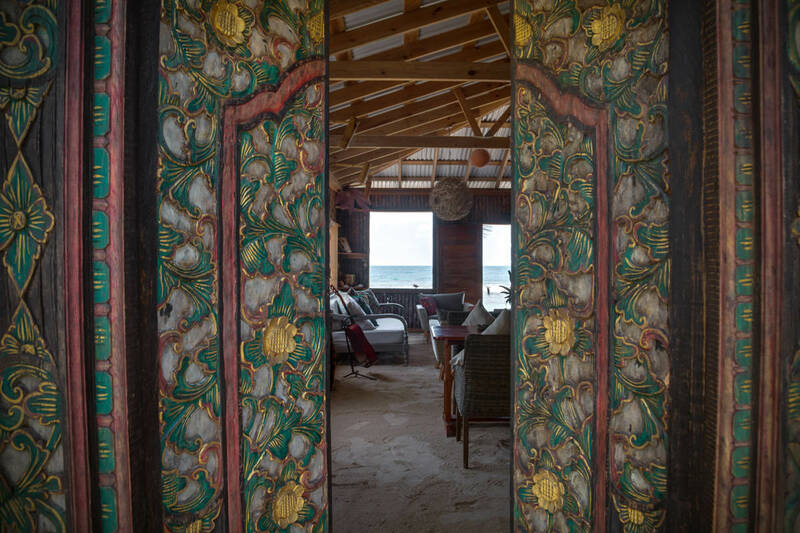 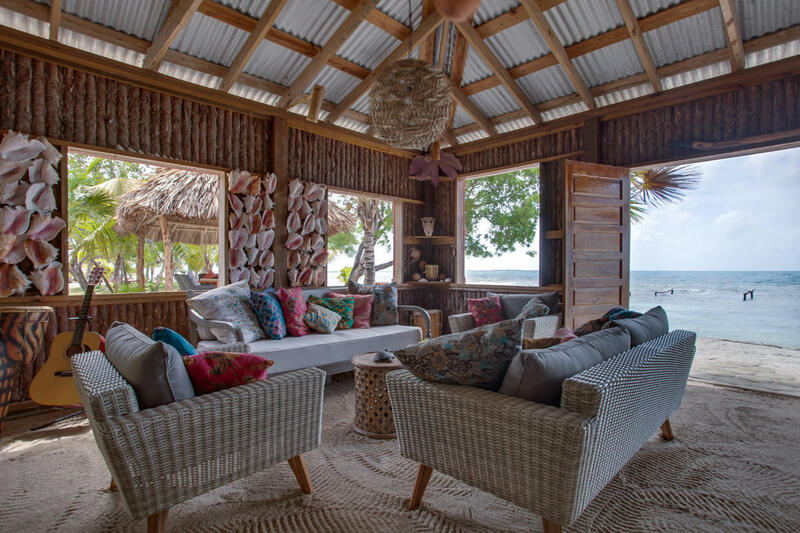 Two dwellings and a great house are the only buildings on the island and can accommodate from two to ten guests. 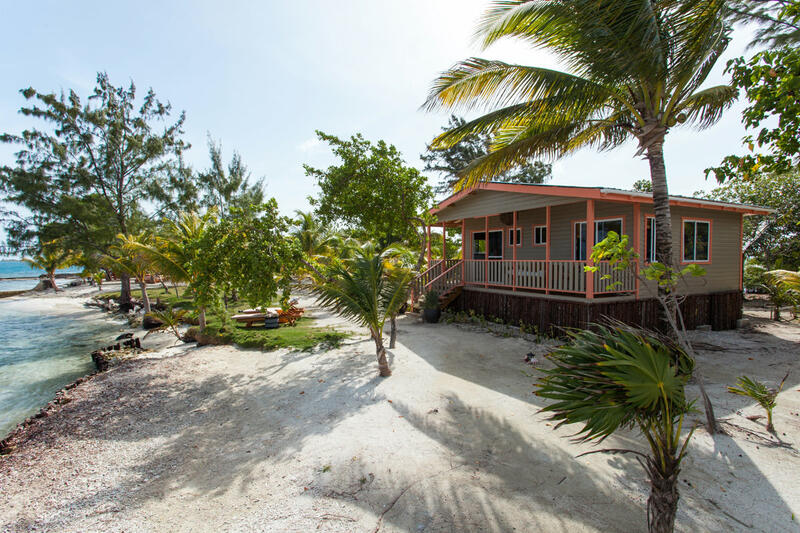 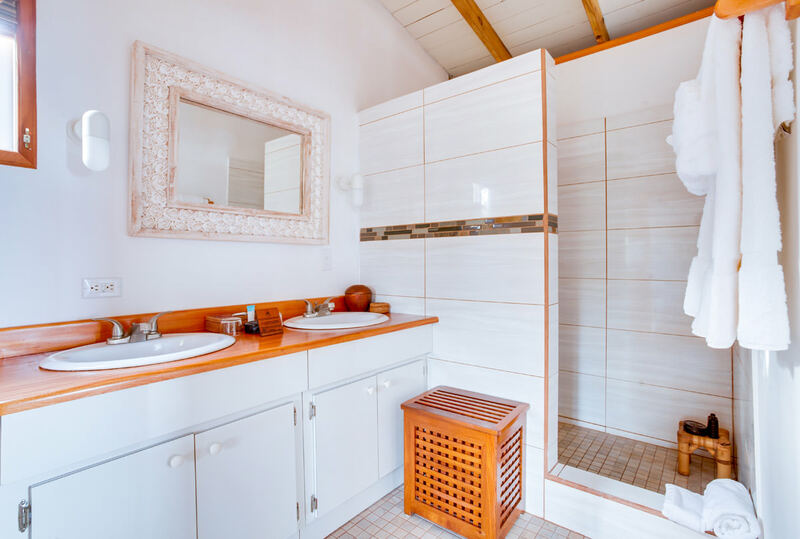 The Coral Cottage, our newly built dwelling, is ideal for a couple or family with young children. 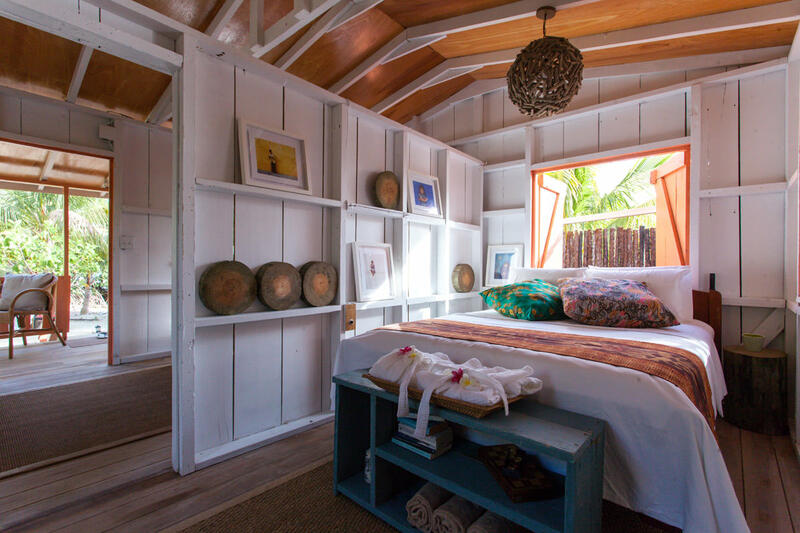 It has a king bed and a sleeper sofa in the cozy living area, front porch, hammocks and full bathroom with an indoor and outdoor shower. 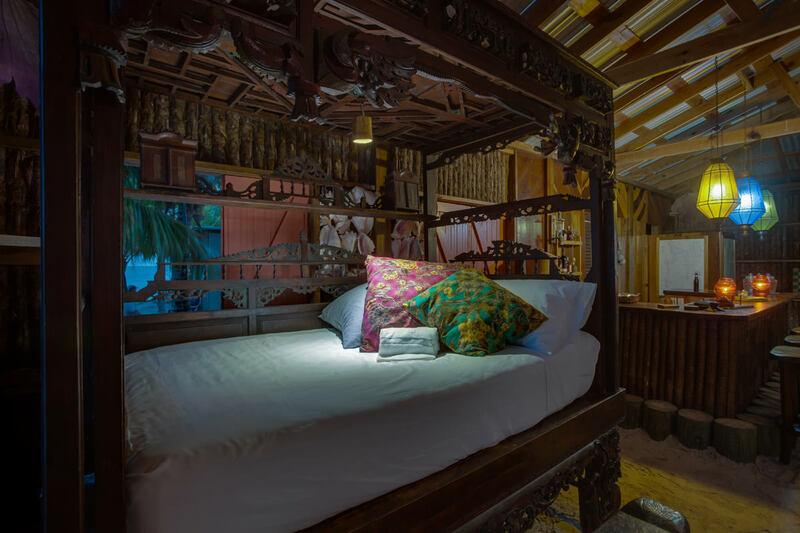 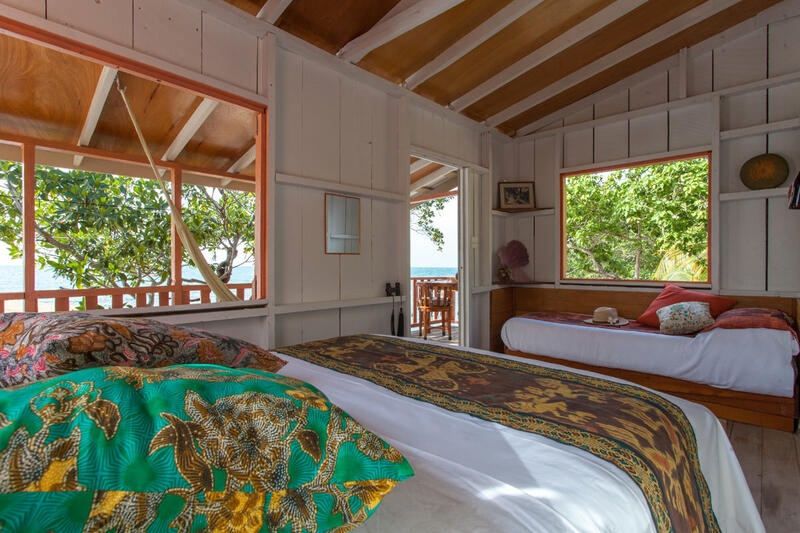 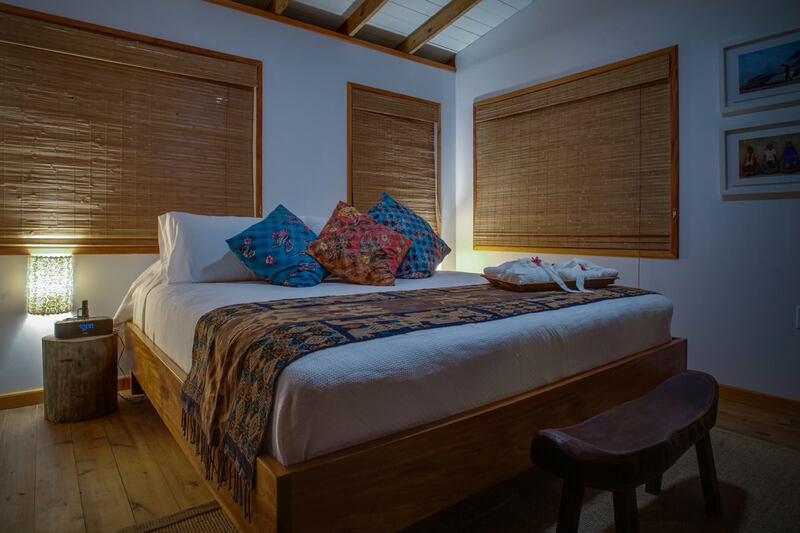 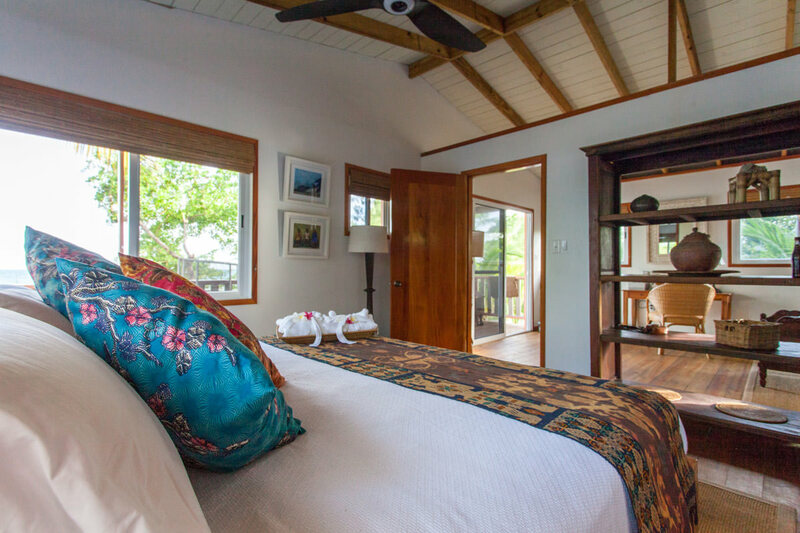 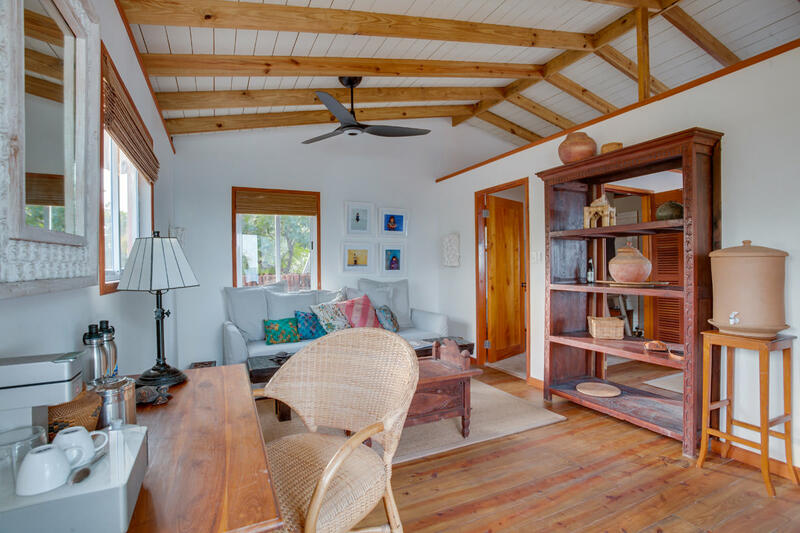 The Seahorse Cottage, ideal for extended family or additional friends, is situated near the Mangrove Cove where one can find many seahorses. 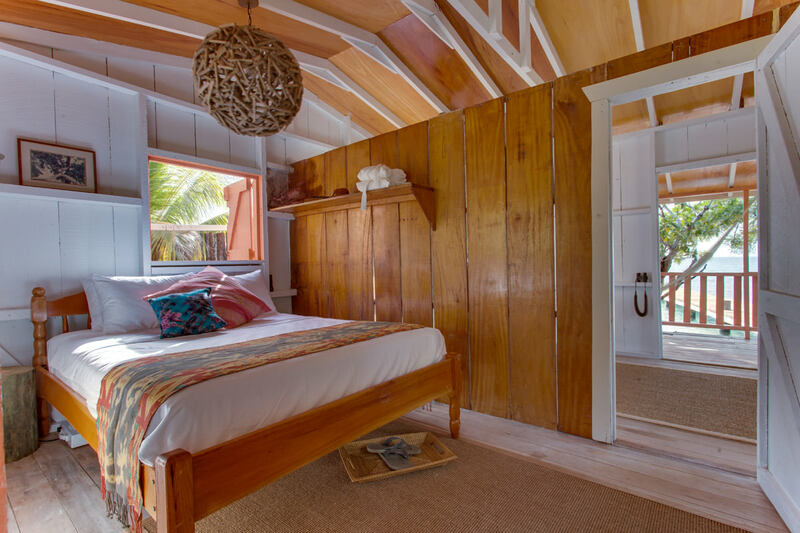 It features two queen beds, one additional twin bed and an adjacent bathroom with a cold shower. 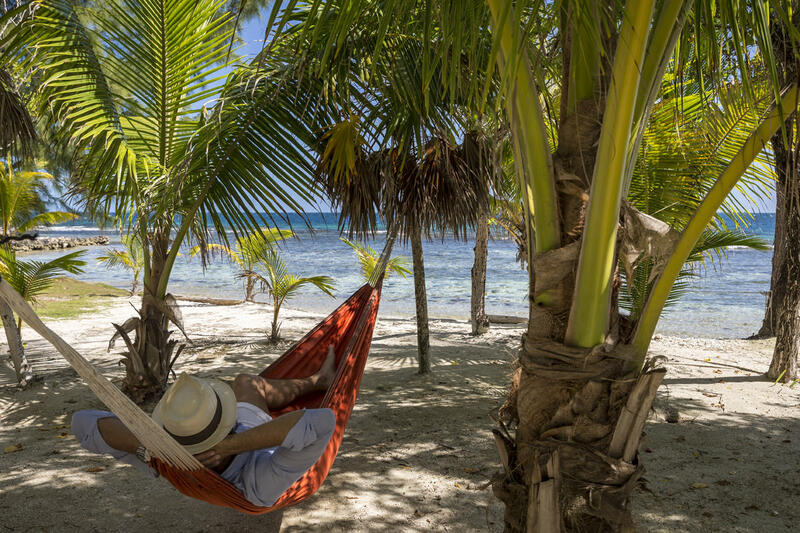 For the intrepid and adventurous travelers, pitching a tent is another option to extend the getaway to even more friends and family. 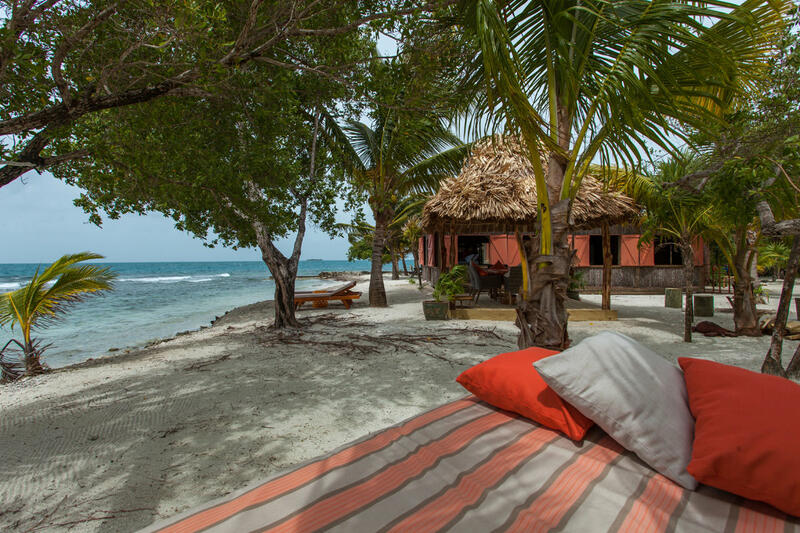 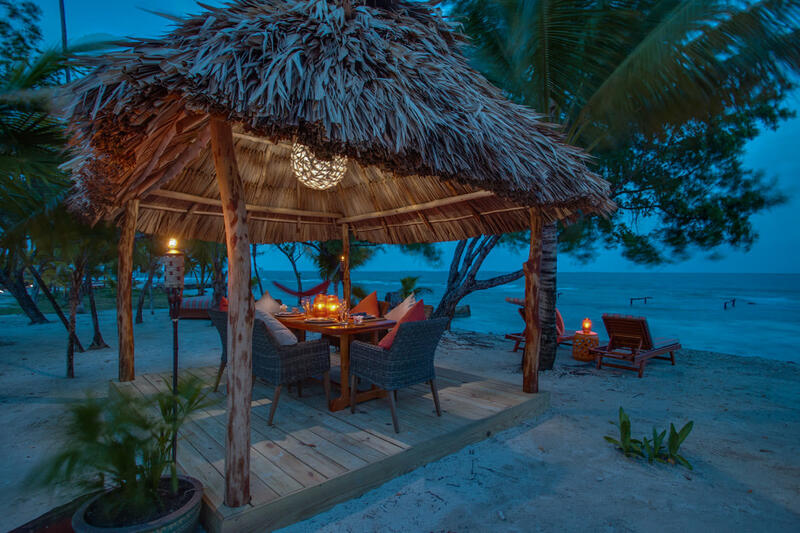 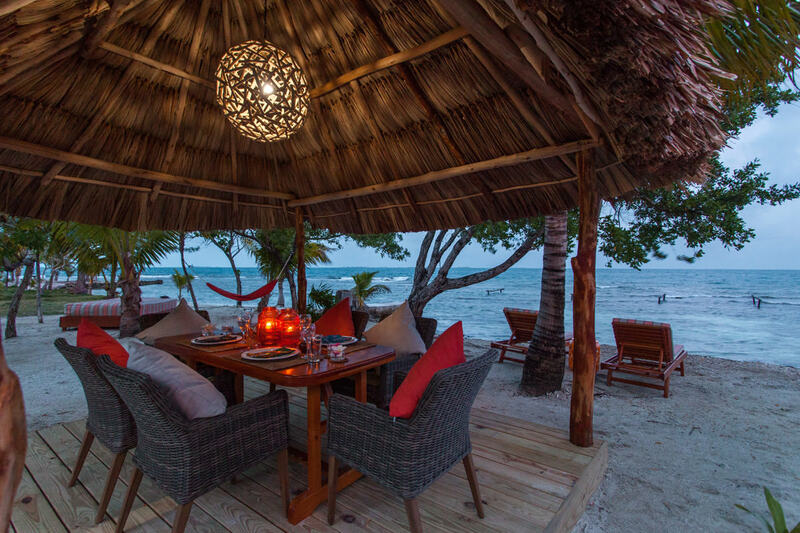 For more details on pricing and inclusions for this private island experience click here. 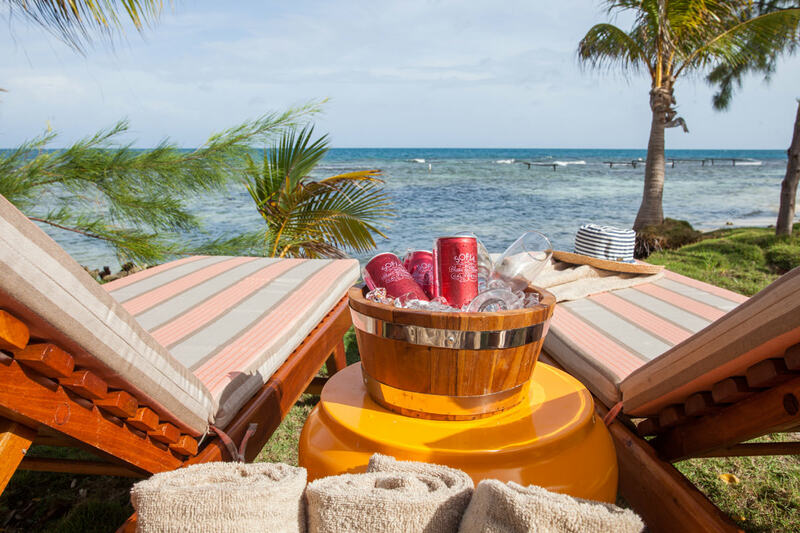 For an FAQ on the island – what to pack, what to do there, etc click here.